Dance and physical theatre often gets lost in the sheer breadth of the Fringe programme, due to the simple fact that there tends to be less of such shows coming to the festival. But look closer, and you'll find some truly exciting developments in the field happening amidst the chaos of Edinburgh in August. Boasting a lineup of both Fringe stalwarts and fresh faces, this year's dance and physical theatre programme is a refreshing mix of the classical and the avant-garde, and truly must not be missed. Japan's Wasabeats Crew, champion b-boys one and all, tear up the stage with lightning-fast headspins and windmills in this jailbreak drama. A breeding ground for professionals on Strictly Come Dancing and Dancing With The Stars, this Australian company doesn't skimp on sensuality, with passionate tango, rumba, samba and jive. Talented Canadian dancer/choreographer Éowyn Emerald has lit up previous Fringes with her smooth mix of virtuosity and emotional integrity. Now relocated from Oregon to Aberdeen, she's busy making her mark on the Scottish dance scene. 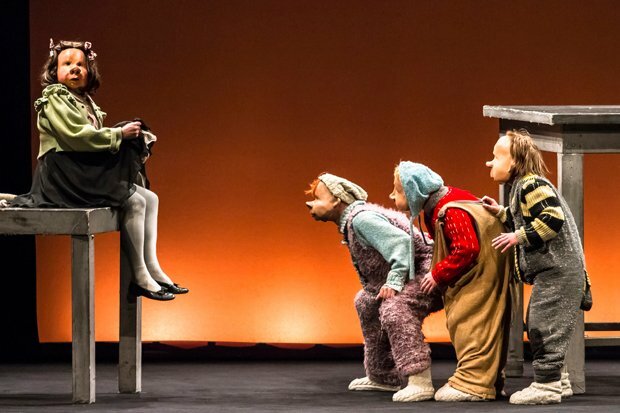 If you saw Hotel Paradiso and Teatro Delusio by Germany's Familie Floz, then you've probably already bought your ticket for the company's latest blend of mask and clever (often hilarious) physicality. If you didn't, word to the wise – here's a company you need to discover. Full-length narrative ballets by a professional companies at the Edinburgh Fringe are as rare as leprechauns – but hang onto your heart because Ballet Ireland is on its way to deliver just that. Our advice: book early, it'll be popular. London tap crew, Old Kent Road were one of the highlight's of last year's Fringe programme at Dance Base. Now they're back with another hour of hoofing, having soaked up some LA vibes, and we couldn't be more excited to see them again. Trained at the Royal Ballet School and Julliard in New York, performer Laura Careless has pulled together a diverse team of collaborators for this solo show about some of history's lesser known, but extraordinary, female leaders. Spotted busking out on the Grassmarket by Dance Base's artistic director in 2015, this infectiously enthusiastic and energetic South African troupe was invited in to be part of the programme the following year – and now they're back again. Prepare to smile a lot. This acclaimed tale of young Sikh soldiers fighting in World War One also features the beautiful moves of Kathak dancer Vidya Patel – a worthy finalist in the 2015 BBC Young Dancer of the Year competition. One of our favourite companies returns to the Fringe with an ice skating show that will banish all thoughts of Torvill & Dean and Disney on Ice from your mind. Skilful, beautiful, energetic and well worth the journey out of the city centre to Murrayfield. Njobo Productions (FKA After Freedom Productions) and African Connections CIC Old and new beats meet performance poetry paying tribute to South Africa’s legends. Experience the sounds and rhythms of the South African street life, with its contagious energy and invigorating vibes, through an everyman’s daily journey. Underbelly and Harley Medcalf, Peta Roby and Nic Notley The Burn the Floor dancers are the true rebels of the ballroom. With their famous, infectious and rebellious energy, they have performed their ground-breaking moves right around the world, from Beijing to Broadway, totally reinventing the ballroom dance styles.